For many manufactures Pinot Noir is a challenge, since it requires a lot of work and effort, both in the vineyard and in the cellar. In the French region of Burgundy it is said that it is much more than a superior grape variety - it is a lifestyle. 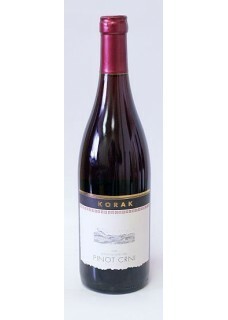 The wine has a medium body and mild red tones with an enchanting aroma and refined texture. The flavour is very rich, reminiscent of sweet grapes. It has a rare elegance for red wines. Food pairing: Veal, roasted duck.